Rituals and performances are a key theme in the study of nations and nationalism. 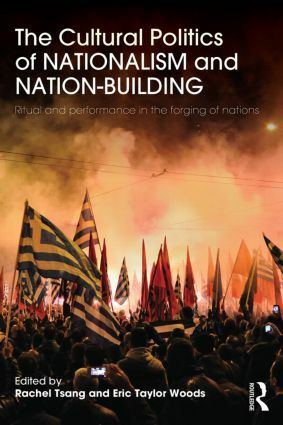 With the aim of stimulating further research in this area, this book explores, debates and evaluates the role of rituals and performances in the emergence, persistence and transformation of nations, nationalisms and national identity. The chapters comprising this book investigate a diverse array of contemporary and historical phenomena relating to the symbolic life of nations, from the Yasukuni Shrine in Japan to the Louvre in France, written by an interdisciplinary cast of world-renowned and up-and-coming scholars. Each of the contributors has been encouraged to think about how his or her particular approach and methods relates to the others. This has given rise to several recurring debates and themes running through the book over how researchers ought to approach rituals and performances and how they might best be studied. The Cultural Politics of Nationalism and Nation-Building will appeal to students and scholars of ethnicity and nationalism, sociology, political science, anthropology, cultural studies, performance studies, art history and architecture.